WSM operates to the highest clincial and ethical standards. Our counselling, clinical, case management management, supervision and customer account management processes all follow clear guidelines set out by our relevant professional bodies. The Employee Assistance Professionals Association (EAPA) is the world-wide professional body of the EAP industry and we are a long-standing organisational member of the UK branch and as such we adhere and / or exceed the many quality standards set out by the organisation. 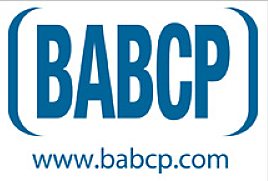 The BACP is the principal UK body responsible for the creation of standards and ethical frameworks covering all aspects of the counselling and EAP provision and as an organisational member, all our clinical and operational processes meet or exceed BACP requirements. The quality and professionalism of our network of fully qualified counsellors lies at the heart of our services. Behind all of our innovative solutions, customer service and exceptional reporting analysis, nothing matters more to us than the quality and professionalism displayed by our counsellors in supporting employees - day in day out. Full and current accreditation with the British Association for Counselling and Psychotherapy (BACP). A minimum of a Diploma in Counselling with 600 hours of supervised counselling experience. A minimum of two years post qualifying experience as a counsellor. Our counselling teams are drawn from a wide and diverse cultural and ethnic background. This is because we place a great emphasis on the importance of selecting the most appropriate counsellor for each and every client (employee) we support.